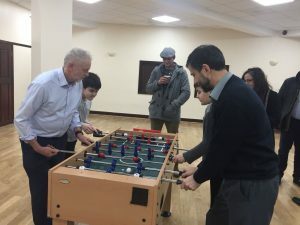 We had a special guest this evening, our local MP & the leader of the Labour Party Jeremy Corbyn. He visited our centre during the weekly “Meal for All” project along with Cllr Asima Shaikh and Cllr Diarmaid Ward. 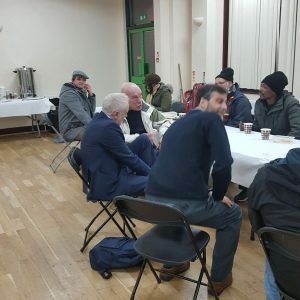 He met our guests from the local homeless community, shared a meal with them, listened to their concerns, and also joined everyone for a game of table tennis as well as a football table competition. At the end, he addressed the worshipers and the users of the Mosque.